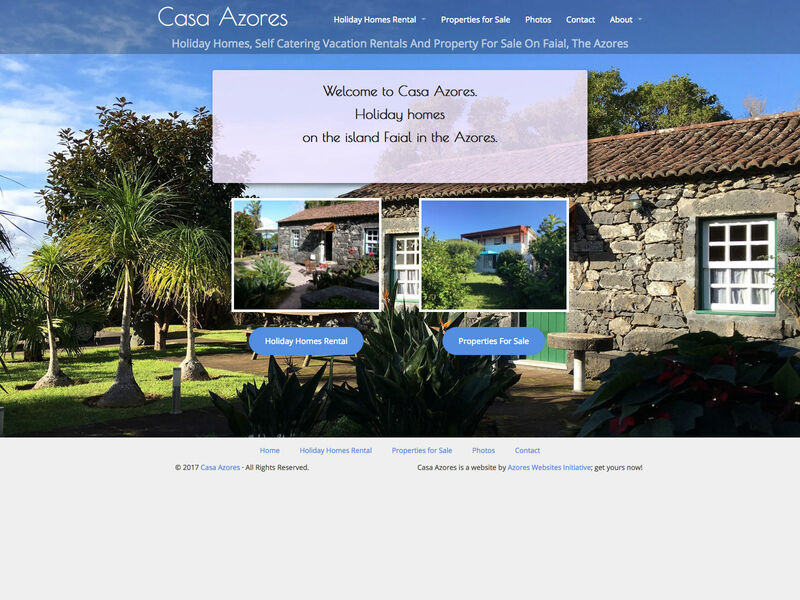 Casa Azores offered self-catered holiday homes on Faial, one of the 9 Azorean islands in the middle of the Atlantic Ocean. On January 1, 2018 the owner retired and the domain, which has been online since 2003 already, was taken over by Beatrice Stump of Explore Azores. 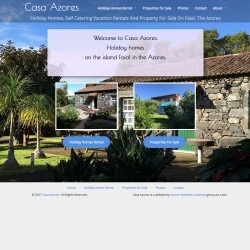 Before we got in touch with the previous owner of Casa Azores we barely knew where the Azores are. She had been living on Faial, a gorgeous island of the group of nine islands in the middle of the Atlantic Ocean, for many years already and ran a small company offering self catered holiday homes. The previous website was not using a CMS, making it impossible for the client to make updates. When the developer retired, it was time for a site renewal. We saw this as a great opportunity to once again use our in-house developed WordPress Starter Theme soblossom. The client had a good idea on how she wanted the new site to look, so we built it out for her according to that, a bespoke design if you will. 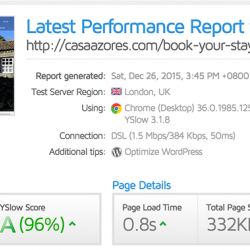 As the site was relatively small, we placed great focus on taking away as much as possible things that are not needed, with the ultimate goal to have fast loading pages for the target audience. 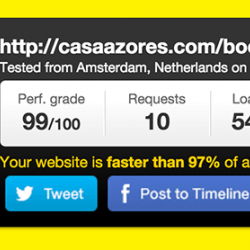 After we deployed the site to the live server and implemented our favourite caching plugin, we decided to run some speed tests. As you can see below the results are super! For the Photo Galleries we added an easy to use and very flexible system in the backend of the site. On the frontend we have implemented a Modal to show the photos in the gallery and then another overlay to show the individual photos. Because the client prefers personal contact with her guests and potential guests, we did not build an automated booking system, but instead we implemented an easy to use Booking Calendar. Site visitors can see whether their preferred booking time is still available and for the client it is very easy to indicate which periods are booked in which holiday homes. Lastly we assisted the client setting up the Search Engine Optimization (SEO) and we made sure that any URLs of the previous site were properly redirected to the this rebuild.